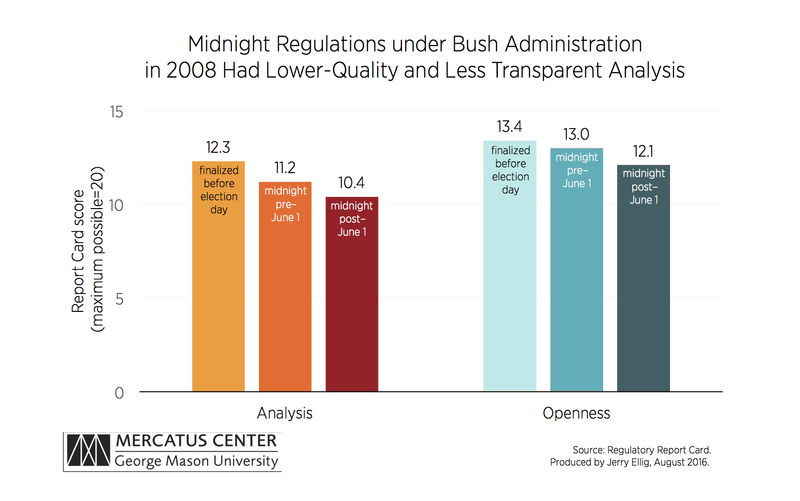 The phenomenon known as “midnight regulation”—a surge of regulation that occurs at the end of presidential terms between Election Day and Inauguration Day—is well documented. The Obama administration could issue 50 or more midnight regulations before the president leaves office. One major concern with midnight regulations is that they will be ineffective or excessively costly, because they are not thought through as carefully as other regulations.